MyFitnessPal—the company behind the hugely popular diet tracking iOS app of the same name—on Tuesday announced a pair of significant milestones: It has amassed more than 30 million registered users, and it’s launched a new, private API with an assortment of health-related partners. “We’re pleased with the large and happy membership base we’ve been able to create,” co-founder Mike Lee told Macworld. He and his brother Al, the other co-founder, say that MyFitnessPal users “have burned almost 90 billion calories, logged over 12.5 billion minutes of exercise (24,000 years), and tracked over 4 billion food entries.” The service is adding 1.5 million new users per month, they said. The Lee brothers expect growth to continue to accelerate with the launch of the MyFitnessPal API (Application Programming Interface, a system by which third-parties can interact with the service). “We’ve really excelled at nutrition tracking,” Mike Lee said, “but there’s so much innovation happening at the physical tracking side, so we’re excited” to leverage those advancements as well. 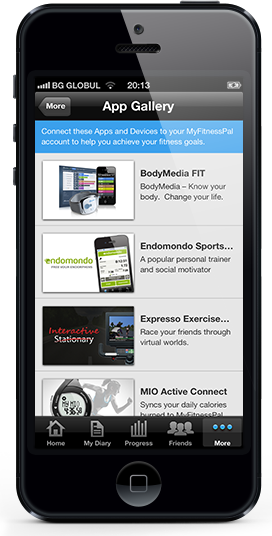 Among the launch partners for the MyFitnessPal API are Fitbit, BodyMedia, Endomondo, Runtastic, Striiv, and Withings. Devices from those companies and other partners will seamlessly log their data to users’ MyFitnessPal accounts. That means the steps you track, the runs you log, or the weights you record with such Internet-connected devices will automatically get added to your MyFitnessPal history. As of now, you’ll need to pair partner services to your MyFitnessPal account via their respective websites, with one exception. You can link your Runtastic account directly from its own iOS app. A complete list of partners is available within the new App Gallery section of the MyFitnessPal app. 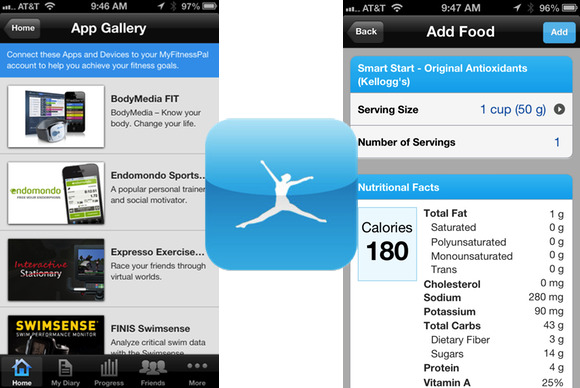 MyFitnessPal for iPhone is free. The iOS version requires iOS 4.3 or later. As of Tuesday, it is optimized for the iPhone 5 as well. There are also versions for Android, Blackberry, and Windows Phone.